When it comes to our ranking in the pecking order of life on this earth, unquestionably, mankind is at the top. And while there certainly creatures on this earth that are faster and stronger, when it comes to being able to manipulate the world around us, human beings are unparalleled. For unlike the cheetah who can outrun us, or the gorilla who can out power us, we have been able to take materials from the earth, and change them, shape them, and create things that have allowed us to reach what is arguably the pinnacle of our existence on this planet. However, while mankind may dominate over most every living creature, we still find ourselves outmatched by much of what mother nature throws our way. Looking back throughout the annals of history, we are given many, many examples of times in which mother nature got the best of us. Long before the modern day conflicts we see taking place in in Aleppo, the largest city in Syria, on October 11, 1138, there was a massive 8.5 magnitude earthquake that historical records suggest could have killed 230,000 thousands people and severely damaged the city. Going back even further there was the Antioch earthquake, which hit in 526 AD in what is now modern-day Turkey. It is believed that over 300,000 perished in that disaster. It isn’t only earthquakes that can cause such peril for humans on this planet from a natural disaster point of view. On November 25, 1839, what became known as the “India Cyclone” hit the harbor village of Coringa, located in Andhra Pradesh, India. The cyclone triggered a 40-foot-wave that destroyed much of the village and most of the ships near the area, with about 20,000 people drowning at sea. It is estimated that a total of 300,000 people died because of the cyclone. In September 1887, the famous Yellow River in chains overran its dikes in China’s Henan Province. As a result, eleven large towns and hundreds of villages were devastating, leaving millions homeless. The flood was profound, that its waters covered 50,000 square miles, killing an estimated 900,000 to 2,000,000 people. By now it should be evident that despite how far we have come, we are in many ways at the whim of mother nature. Sometimes she will shake the ground, other times she will flood the land, and sometimes, she can harm us in ways that up until recently we have only begun to understand. So while we may have dominance of most animals and creatures we see, mother nature has created other creatures, smaller creatures; ones that are invisible to the naked eye, and yet, have killed more people than all of the natural disasters that have ever taken place on this planet in – combined. What we are talking about is diseases. A disease is defined as a disorder of structure or function in a human, animal, or plant, especially one that produces specific signs or symptoms or that affects a specific location and is not simply a direct result of physical injury; and as long as humans have been on this earth, we have been a war with them. Throughout history, mankind has attributed the unknown and that which could not be explained to magic, divine entities, and demonic possession. It is only in relatively recent history that we have been able to look beyond what our eyes can see, and learn about what has been plagued mankind, and most living creatures on this earth, for millennia. So what are these diseases of antiquity that have been burdening our species as we grow and prosper on this earth? Glad you asked, for here is the 10 oldest known disease. This one may take a little explaining, but here we go. Now, a mitochondria is a small organelle found in nearly every cell in the human body. And they perform a function essential to human life, converting glucose from food to energy called adenosine triphosphate, or ATP, which cells can use. Following so far, because this is where it starts to get interesting. While mitochondria are very important to us as living creatures, they also carry their own genetic material; material that is separate from human DNA. But, and more interesting still, these genes look a lot like those of bacteria. In other words, many scientists believe that it is very likely that the mitochondria that we depend on for survival are the products of an ancient infection. This infection predates animal all animal life, let alone human life, and as such, it would do us little good to explore fossil records. So instead, researchers decide to compare the genes of the mighty mitochondria to those of existing bacteria. 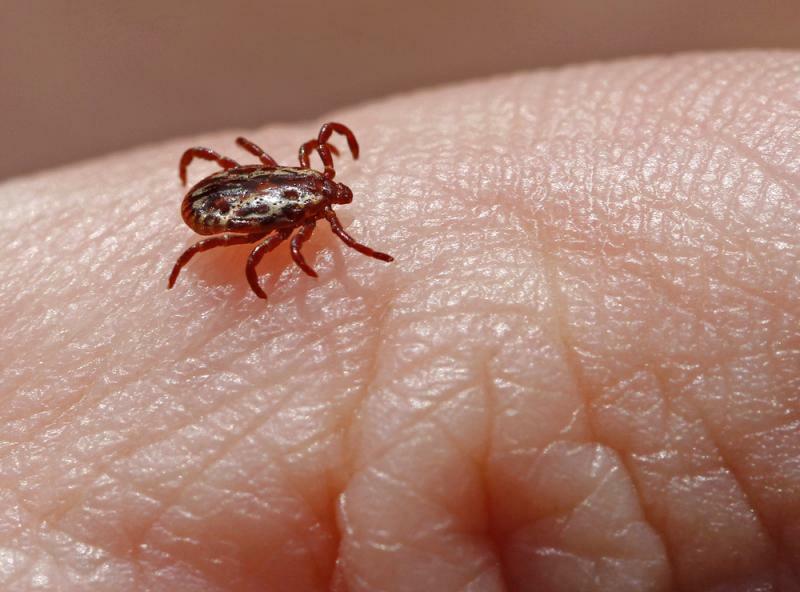 What was discovered was that the closest match was to bacteria of order Rickettsiales, many of which cause diseases -- including Rocky Mountain Spotted Fever. As a bit of a disclaimer, we should probably say that Rocky Mountain Spotted fever itself isn’t the oldest disease we know of, rather, some unnamed porto-disease that has many genetic similarities. In other words, long, long ago, before humans and animals, a bacteria invaded a cell, and as a result, we have life as we know it today. And who says all bacteria and diseases are bad?